You may have had the opportunity to see the almost mythological cannabis hash known as “Crystalline” and if you had the cash at the time, you may have even managed to purchase some and smoke it. This extremely pure form of cannabinoid, available in both THC-A and CBD is literally just cannabinoid, up to 99.97% of cannabinoid. For some this may seem excessive, but to others rather attractive. Whether it be for veteran smoker’s looking for another great high, or for a medical patient seeking the benefits of higher dosages of cannabinoid, Crystalline Isolate is an exciting development within the chemistry of cannabis and the development of novel methods of consumption devoid of any harmful solvents and carcinogens. While it is certainly possible to draw out extracts that are extremely high in cannabinoids like THC and CBD, indeed at levels similar to 99.97% with CO2 and hydrocarbon extraction and distillation, THC-A and CBD crystalline opens up different potentials for storage and consumption to the market and audience. 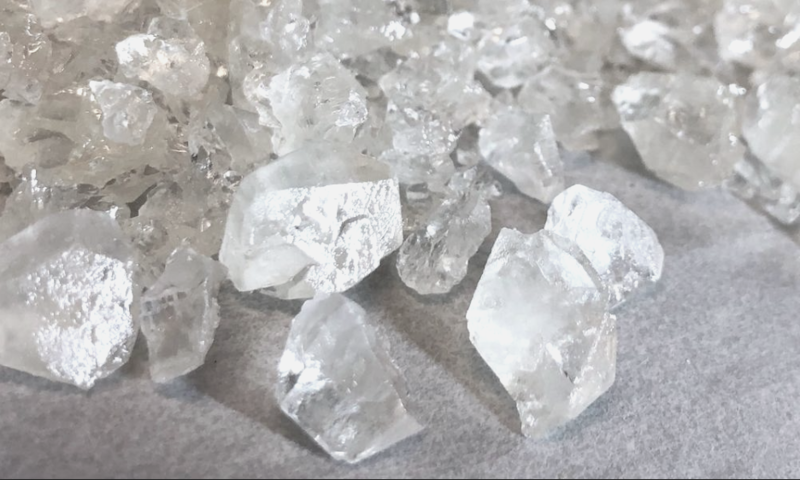 For instance, storage is much more convenient when using crystalline isolate, less messy when dabbing, and easier to incorporate into foods and topicals (presuming you have decarboxylated your crystals), did I mention that it is also very pretty to look at?